NOVEMBER-DECEMBER 2017: Growing military investment in robotic technology-by the US as well as some 40 other nations-indicates that robots are rapidly becoming an important piece of tomorrow’s military arsenal. 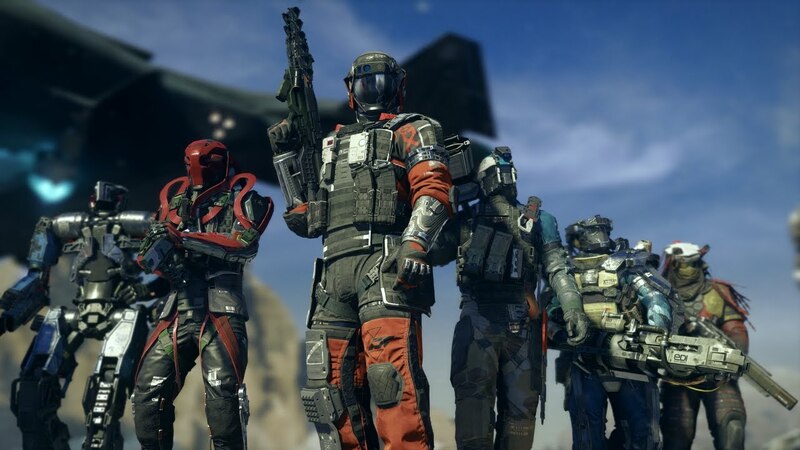 One of the most profound changes in modern warfare is the astonishingly rapid rise in the use of robots on the battlefield. Robots can easily and safely perform tasks that would otherwise endanger human lives, and do so faster and more efficiently than is possible with conventional methods. 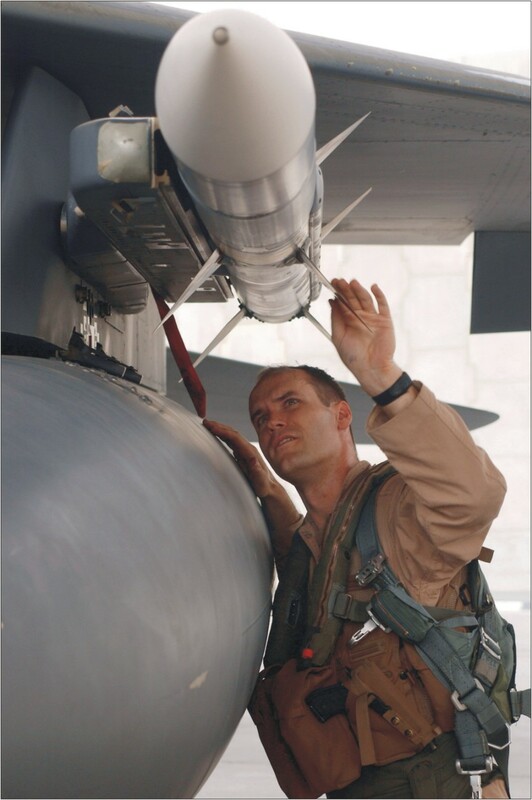 Military missions can be incredibly boring as well as physically taxing, and robots are proving attractive for roles that fill what are called the three D’s (Dull, Dirty, or Dangerous). 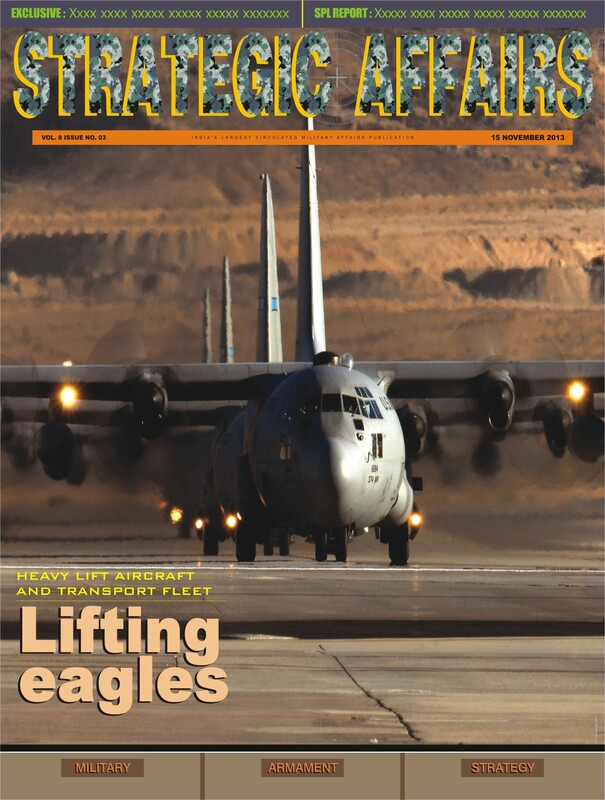 SEPTEMBER-OCTOBER 2017: As the military forces around the globe faces an uncertain security environment, the importance of its mobility fleet of tanker and airlift aircraft continues to increase. 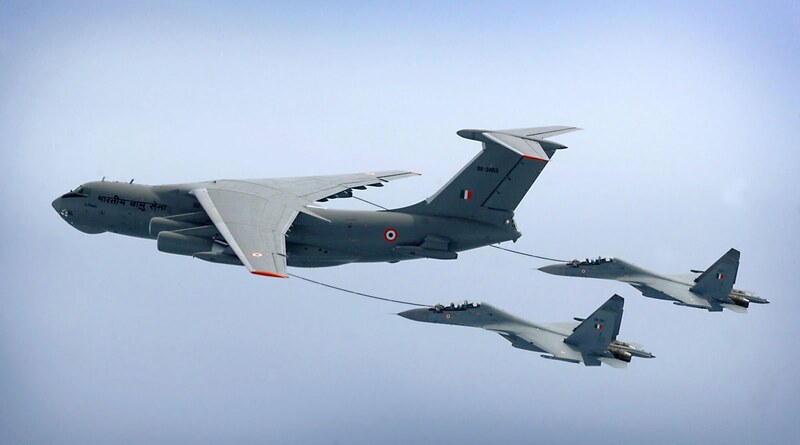 Aerial refuelling aircraft are strategic assets for any armed force, as airborne stations capable of prolonging the flight time of fighter jets and reconnaissance aircraft, allowing them to do their job for longer. 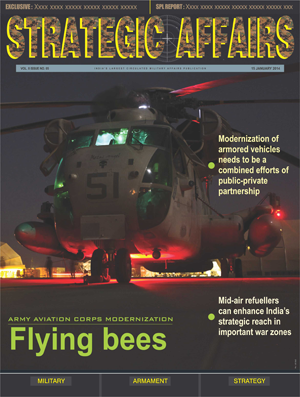 A historical review of tanker and airlifter employment reveals that changes in requirements, capabilities, mission and vision over the years now prompt the need for adaptive planning and smart procurement. 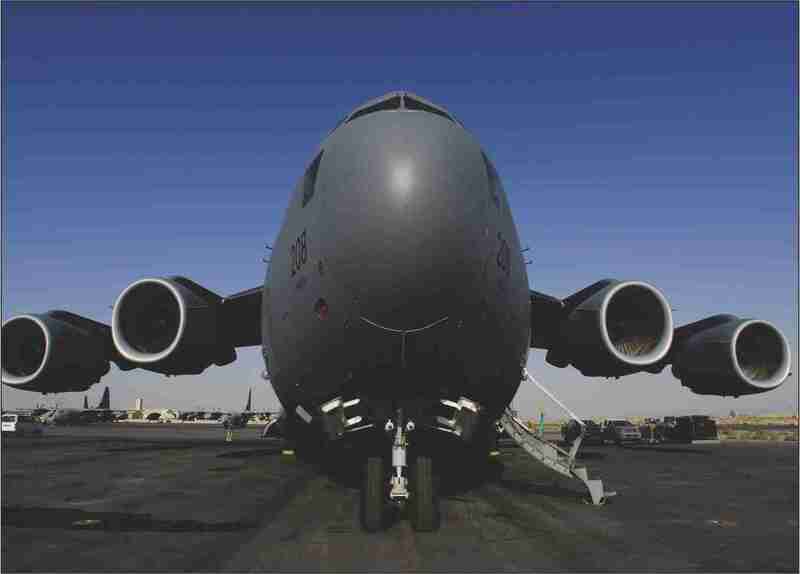 A multi-role tanker-transport aircraft whose primary function is air refueling, but which also can become a mobility multiplier, can be the real game changer for the militaries. 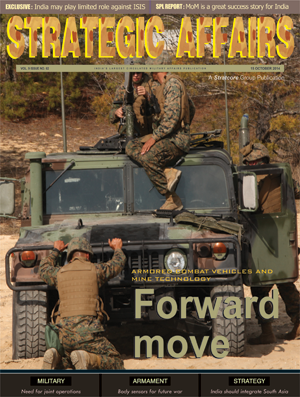 JULY-AUGUST 2017: Leading militaries have invested into mechanization of transport, and warfare was the cradle and the laboratory for many vehicles. None of them, however, has become as potent a symbol as the tank. When prime minister Harold Wilson told a union chief in the 1970s to ’get your tanks off my lawn’, nobody doubted what he meant. 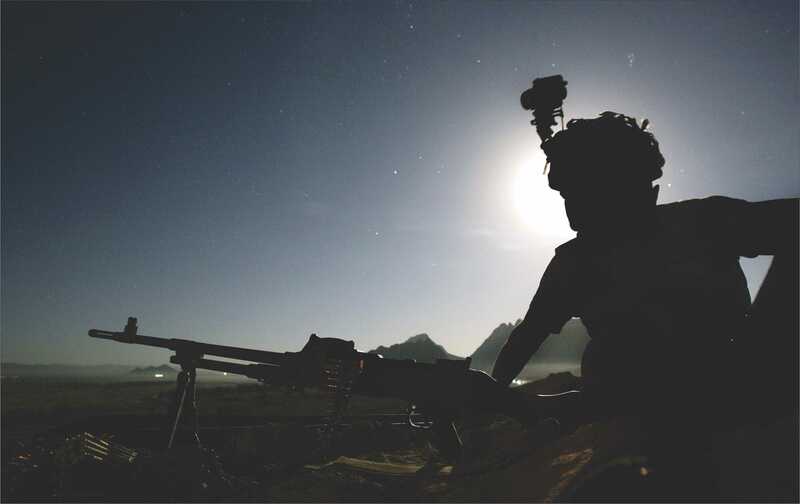 MAY-JUNE 2017: It is no more a secret that in any future conflict there will be no rest for the soldiers and they will have to keep the operations going even during the nights. 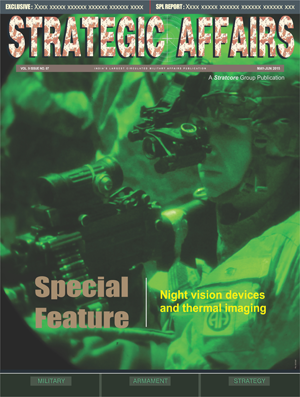 An essential component of progressing operations in such a manner is the ability of troops to operate by night. 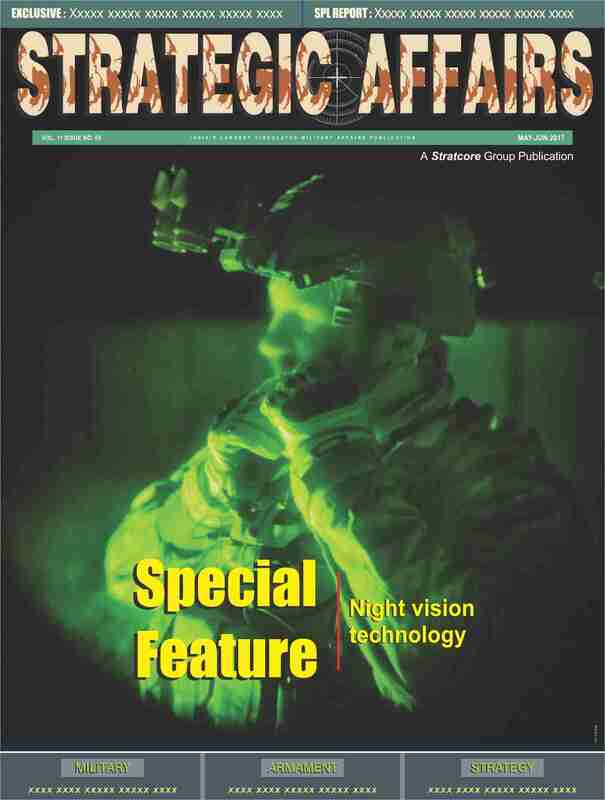 Today, due to evolution of technology in the form of Night Vision Devices (NVD’s) modern militaries are able to effectively carry the day operations into night. With possibility of having conventional wars as short and precise, the 24-hour battle will be a necessity, forcing systems to be all weather, day and night. 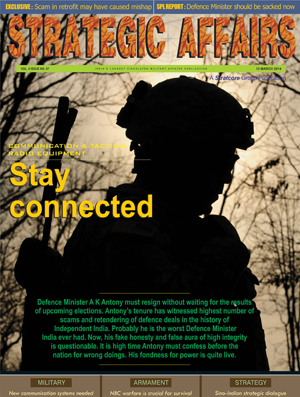 MARCH-APRIL 2017: Going by published material it appears that the future infantry soldier of the Indian Army has already received all that his heart desired by way of the most modern weapons and equipment required to fight a ‘hybrid’ war of combined conventional and sub-conventional features. 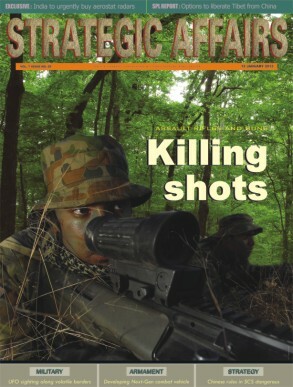 From ten different sources around the world all that is needed for use on the battlefield from handguns to heavy machine guns have been bought and inducted except the central raison d’etre for the massive change- the multi-calibre individual weapon (5.56mm, 7.62mm and 6.8mm) – is still undergoing user trials. JANUARY-FEBRUARY 2017: Today, start-ups depict the growing entrepreneurial culture encouraging youth to become the leaders of tomorrow. Start-ups are increasingly achieving success in every sector-be it technology, healthcare, e-Commerce, services, etc. 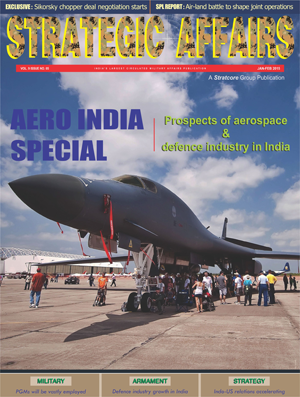 However, defence sector is yet to witness the entry of budding entrepreneurs as well as investors. Lack of funding, lack of trained technical manpower, unfavourable procurement policy of government and restriction on the export of defence items etc are some of the key challenges that affect the bright prospect of starts ups. 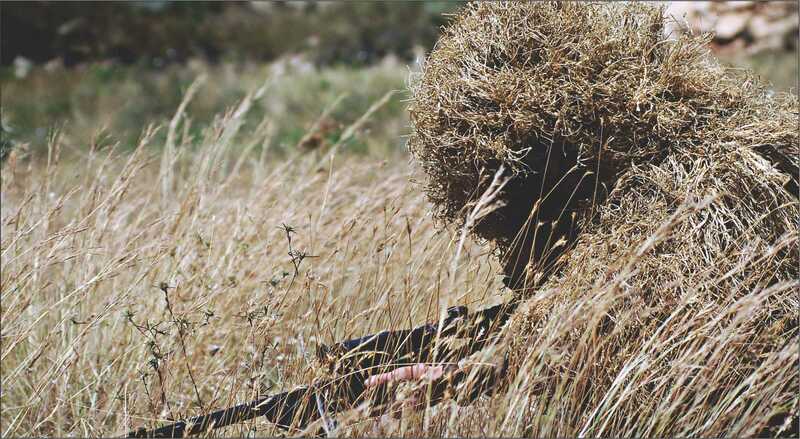 NOVEMBER-DECEMBER 2016: The Indian Army’s surgical strikes along the Line of Control (LoC) recently has once again highlighted the significance of having specialised forces in the military to handle critical combat missions. After the terrorists attacked Uri army base of India, a team of special commandos of Indian Army carried out surgical strike in PoK along LoC. In its surgical strike in the month of October 2016, India destroyed seven terror launch pads and it was carried out by 70-80 commandos from two separate battalions of Para Special Forces (SF) with IAF attack helicopters kept ready at four bases in J&K to address any contingency. 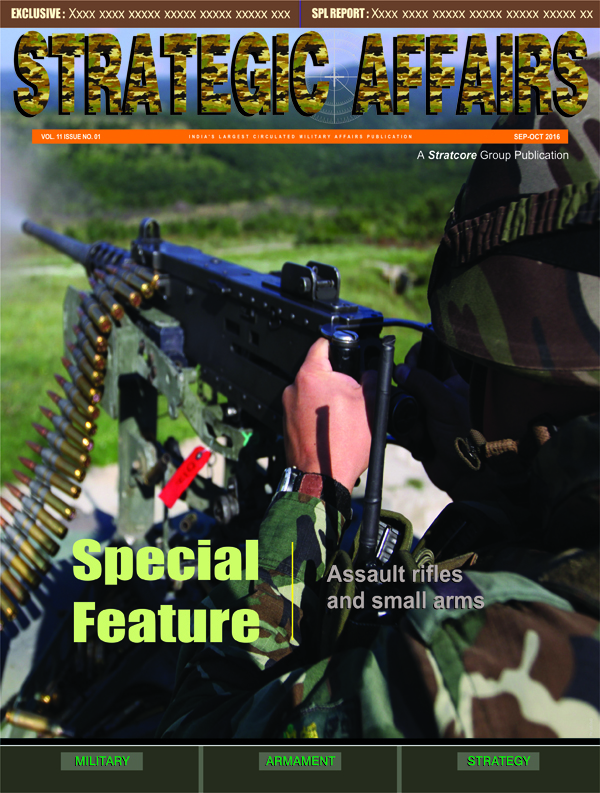 SEPTEMBER-OCTOBER 2016: In the age of satellite warfare, guns and assault rifles are still the main chorus of the war fighting despite the advent of new technologies that can decimate the targets within minutes to pulverize the battlefield hurdles for faster movement of ground formations. Everything is going modular. Even though there is a sea change in the development of new technologies, standardized ammunition calibers and new plastic materials, over the years the assault rifle has evolved beyond expectations. 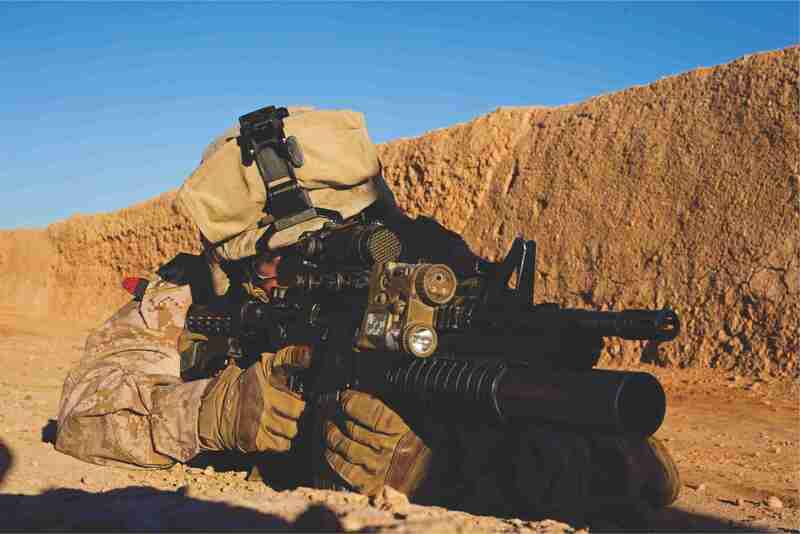 When one considers the shift from conventional wars to low-intensity urban conflicts, the radical changes in how rifles are built and designed seems inevitable. 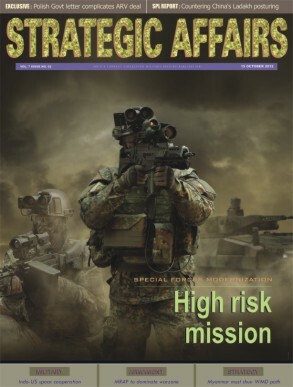 JULY-AUGUST 2016: Modern war zone is full of hazards but military commanders are often worried about the safety of their soldiers and how effectively the operational readiness can be ensured without compromising the swiftness of the battle formations. 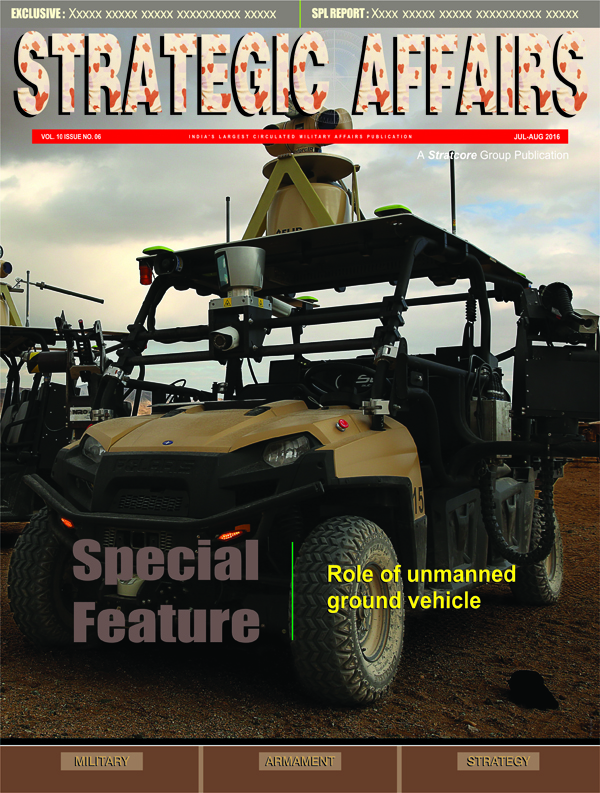 Indeed, technology is ensuring that unmanned ground vehicles can be handy and operate in most lethal battlefield conditions without any pause despite the fact that it can be targeted by the enemy cross fire and aerial assault. 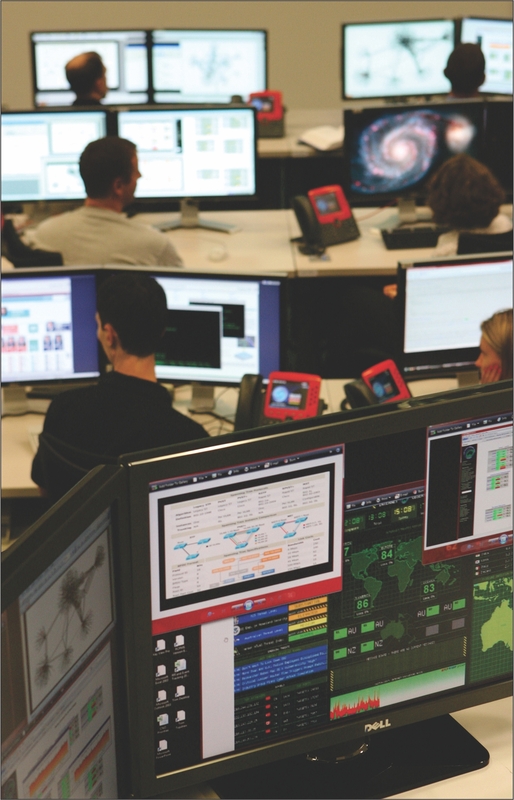 These days military and industrial researchers try to use more and more automatic applications in practice. 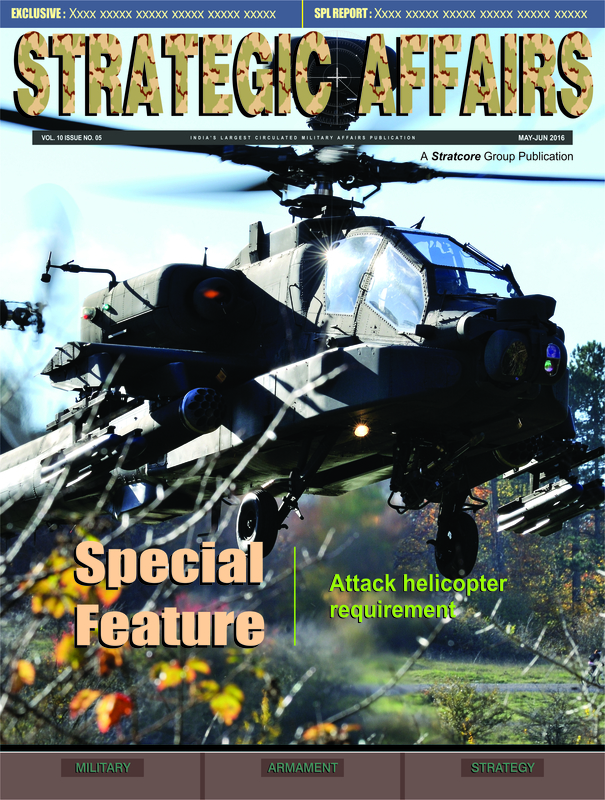 MAY-JUNE 2016: Imagine a next-generation attack helicopter platform so advanced that it can reach speeds more than 220 knots (407 km/h), flying as high as 10,000 feet (3 km) in 95° of heat. 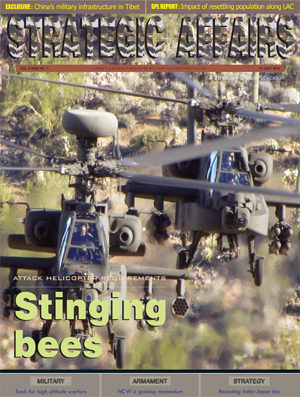 The new generation military attack helicopters are poised for a greater role in the modern battlefield where piking targets are crucial for winning the game. 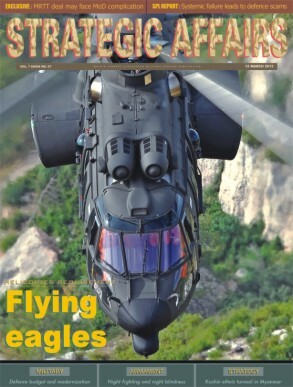 Americans are always ahead in choosing finest technologies for the military. 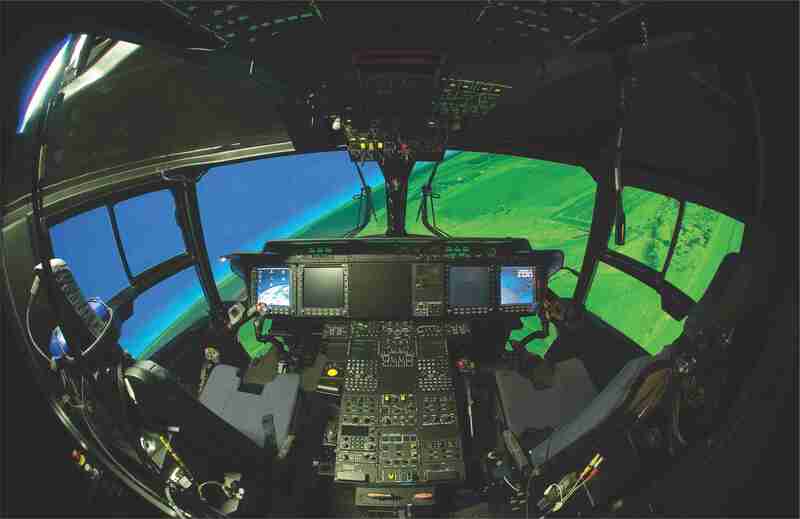 The Sikorsky S-97 Raider helicopter is poised to realize this vision and to revolutionize next-generation military aviation. 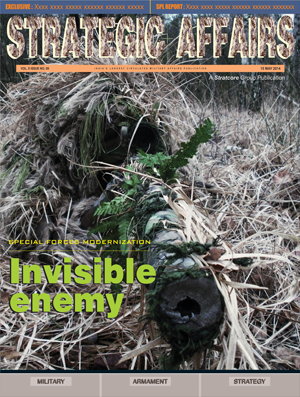 MARCH-APRIL 2016: Since the nature and contour of the 21st century battlefield is changing very fast, the rapid introduction of new technologies and state of the art research and development in this segment could alter the present approach by invigorating the soldiers into a superhuman who will fight the war on ground. 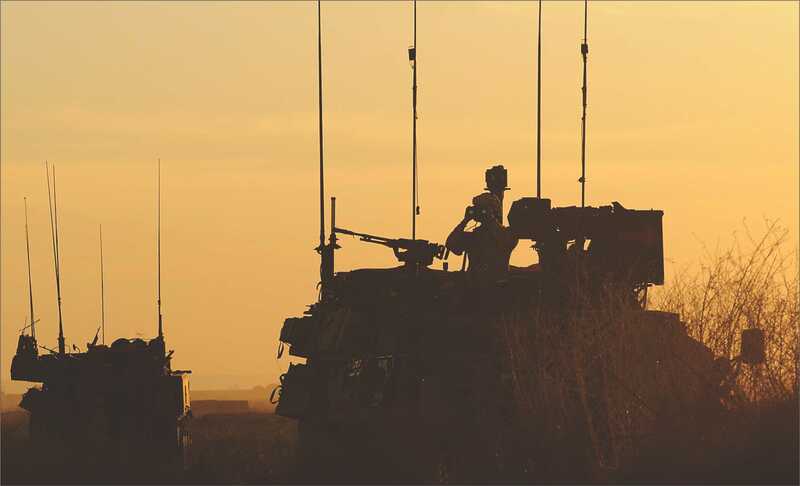 Soldier modernization programs have often focused on equipping soldiers with new technology in the simple belief that more information and functionality will result in a more effective soldier. 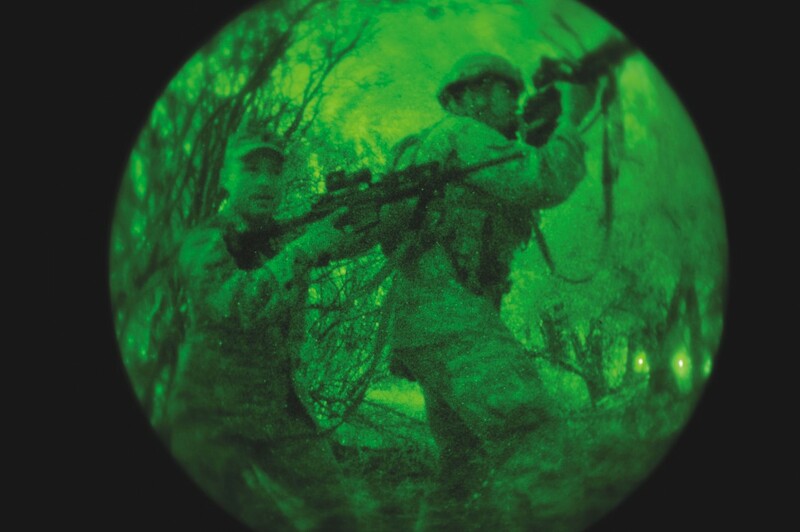 Clearly, any equipment providing increased situational awareness, more accurate observation and target information, and enhanced communication and navigation will improve a soldier’s effectiveness. JANUARY-FEBRUARY 2016: The tank warfare just few years ago was being dubbed as ‘history’ after the invention of military satellite, ISR technologies, unmmaned aerial vehicles and robotic technologies but Russia has once again proved in Ukraine war that tanks are still relevant for 21st century warfare. Suddenly, both Russia and the US are caught in crossfire for developing robotic and most sophisticated tanks for their militaries. While the NATO will go for CV90 Adaptive tank and US made GCV tank by 2019, Russia has already gone for mass production of world’s most deadly Armata T-14 tank which will be deployed by 2017. 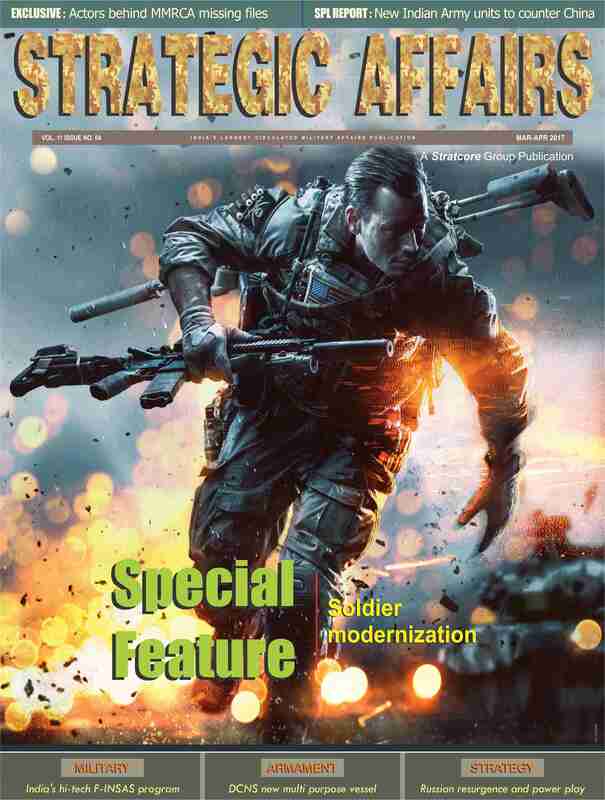 NOVEMBER-DECEMBER 2015: With the introduction of new generation war technologies, the modern warfare is all about achieving swift victory in which the enemy is inflicted with massive destruction within hours of the battle wave, leaving retaliation capacity of the opponent to a nearly dead end situation. 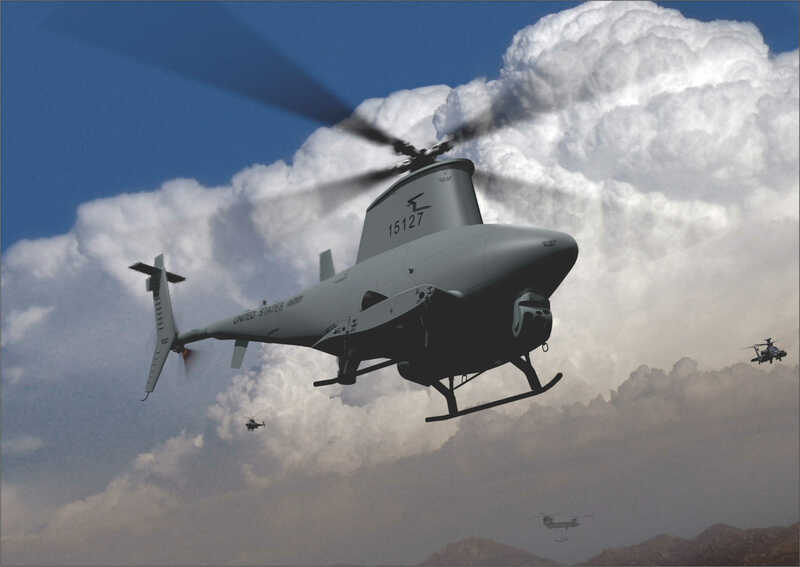 Countries are investing huge sums of money into advanced technologies so that their militaries can be equipped with modern systems to deal with new situations where hi-speed data can enhance decision making process faster and neutralize high risk threats urgently. 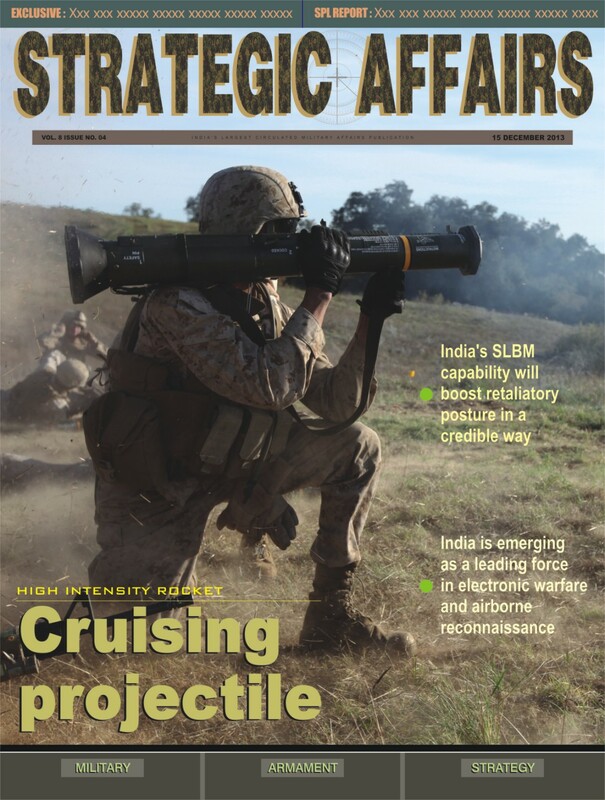 SEPTEMBER-OCTOBER 2015: The 21st century battle is going to be fought through various lethal bandwidths of beams than guns and rockets as modern militaries are keen to deploy precision weapon which can smash targets with the pressing of switch buttons than firing costly missiles. 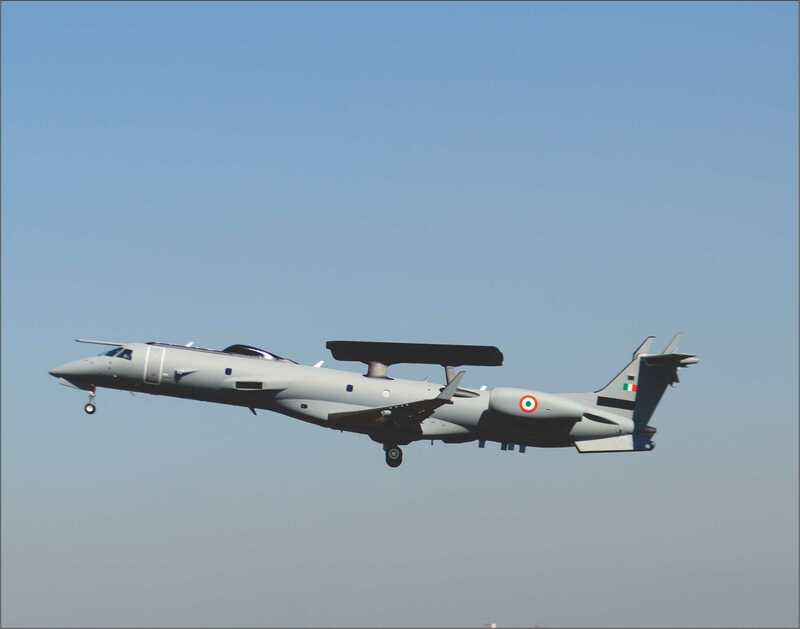 The whole concept is flying an aircraft is getting a reduced option while firing long range missiles are going to be costly for battlefield commanders apart from handling and storing. But pressing a high powered microwave beam or electromagnetic pulse will cost quite cheaper and effective than missiles. 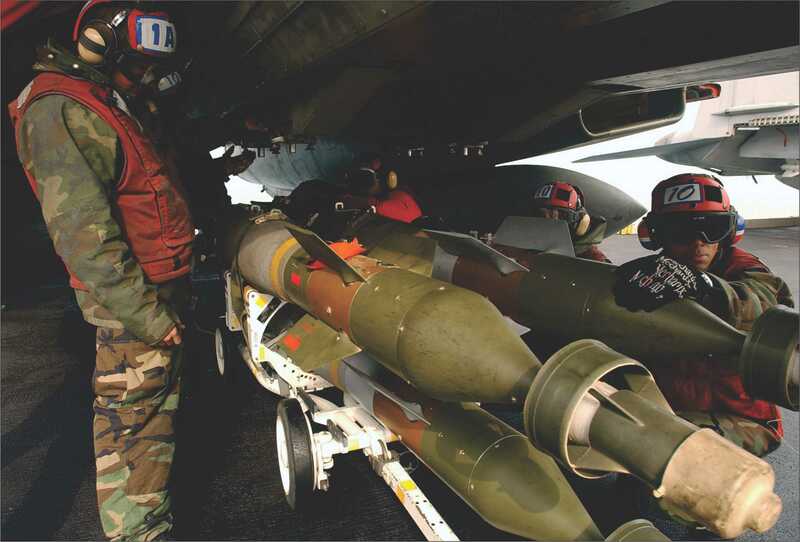 Thus, military forces have been actively developing next-generation weapons that can take warfare well beyond the guns and rockets that populate modern arsenals. 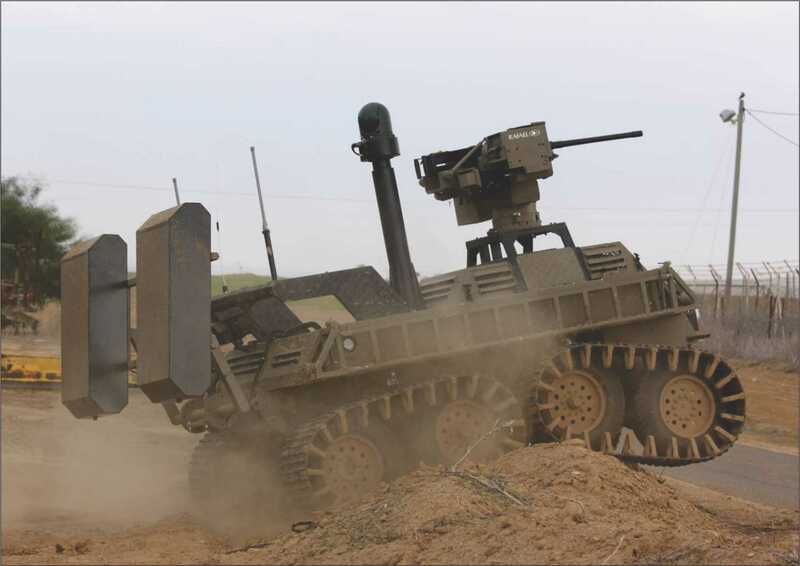 JULY-AUGUST 2015: With the advent of new technologies, unmanned ground vehicles are being increasingly used to defend ground targets and carry out reconnaissance in the battlefield which is filled with lots of hazards and release of toxic weapons by the adversary. That is why unmanned armored vehicles are regularly used and are expected to remain a very important part in military operations. 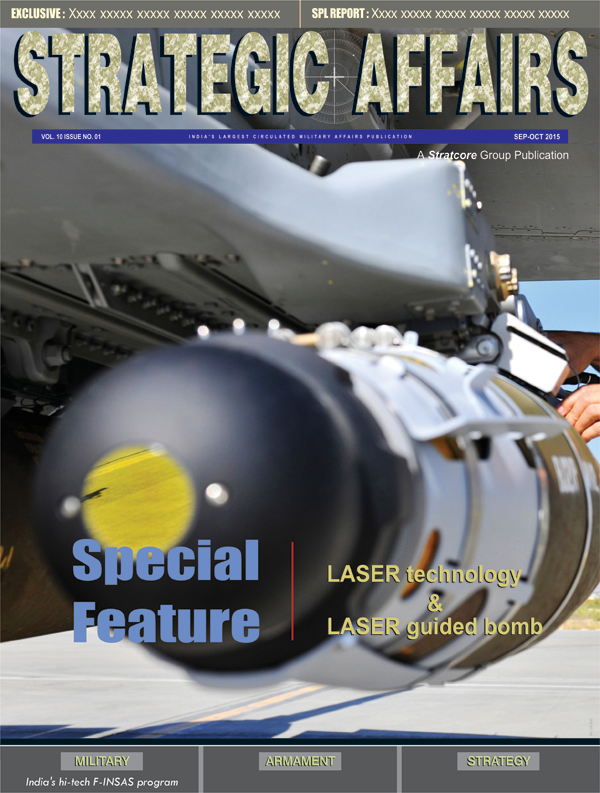 MAY-JUNE 2015: As the modern battlefield is getting hi-tech and changing the rules of engagement, the demand for new intelligence, surveillance and reconnaissance (ISR) technology and infrastructure is growing significantly to meet new challenges and eliminating the elements of surprise. 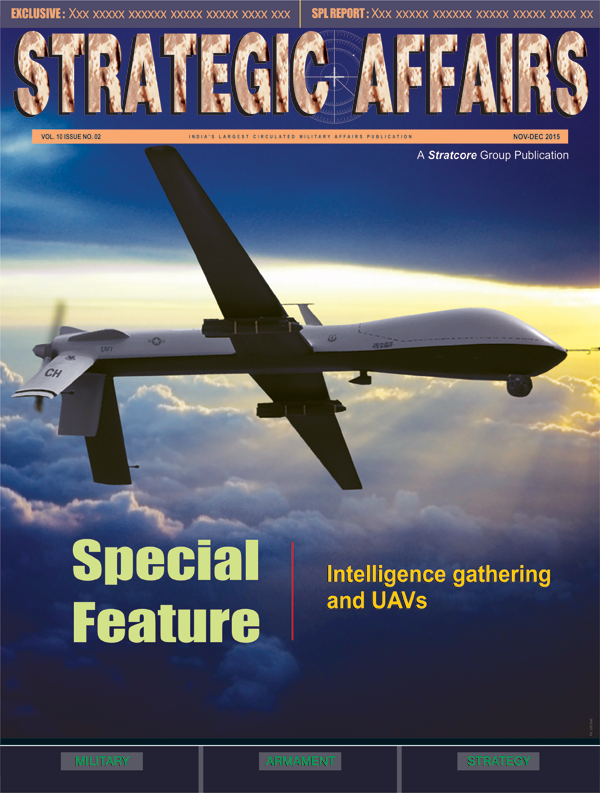 Intelligence, surveillance and reconnaissance capabilities, which are strategically important in peacetime, are a vital national asset in crises when time is a critical factor in decision-making and demands for information escalate drastically. 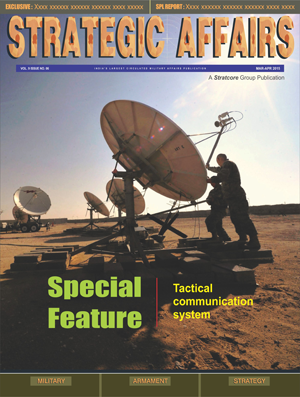 MAR-APRIL 2015: Despite concerted efforts to control cyberspace, cyberspace has become a new domain of warfare in the modern battleground, joining the existing natural domains of land, sea, air, and space which can transform the effectiveness of the battle zone many folds. 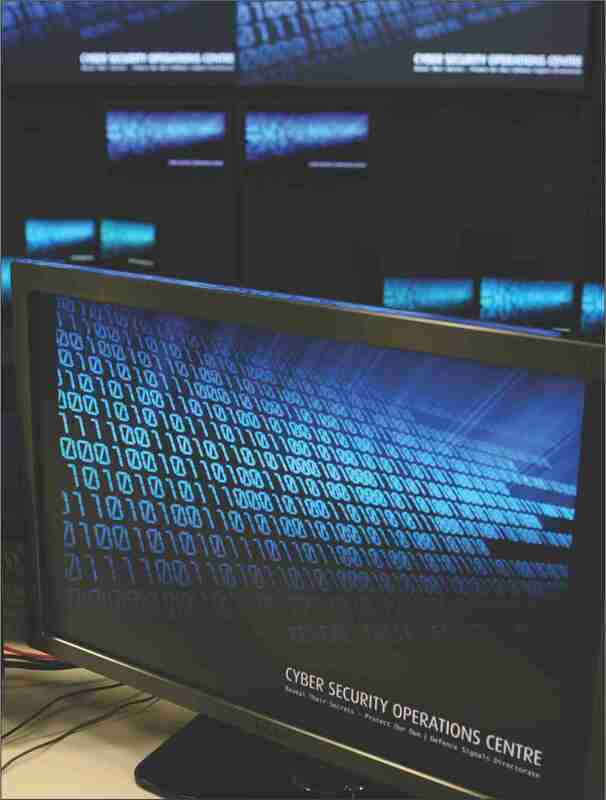 The cyber warfare challenge is growing at an alarming space for leading militaries who think one day they will have to resort to cyber weapon as their last arsenal in a contested battle which can be swift and decisive. This can cripple a nation without a single shot being fired at the enemy or its position but the outcome can be devastating as one can see during even peace time when hostile hackers or state sponsored activists and technicians play havoc with opponent’s network assets. 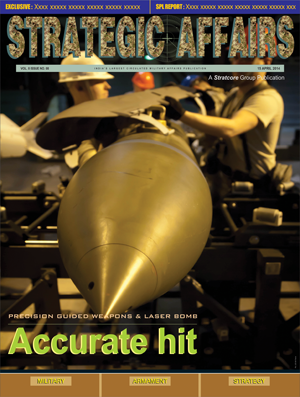 JAN-FEB 2015: With the introduction of revolution in military affairs, militaries around the world are gearing up for a new generation weapon profile that can enhance their strike capability while minimizing collateral damage that can result in a crisis. 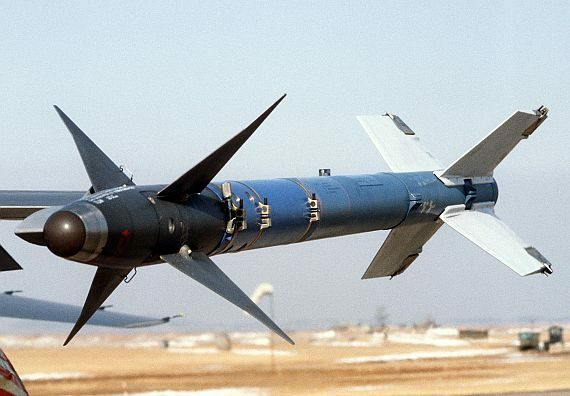 Today, precision-guided munitions (PGMs) with their high degree of discrimination and accuracy again hold such promise. In modern warfare, both in terms of methods employed and of the greater concern placed is on limiting human suffering during conflict. DECEMBER 2014: Today’s naval aircraft have come a long way from the Wright Brothers’ flying machine. These modern and complex aircraft require a maintenance team that is far superior to those of the past. Other countries look upon the United States as the leader of the free world. This accomplishment comes partly through its military strength achieved through sea power. The ability to fight in World War II, the Korean War, and the Vietnam War came directly from the Navy’s sea power. Taken as a whole, most naval aviation in the world is land based-aircraft functioning either as scouts or as virtual extensions of coastal artillery. Their purpose is to exert control over the seas over which they can fly. 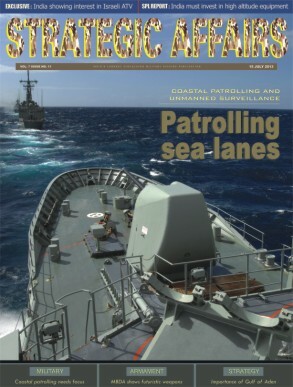 NOVEMBER 2014: The Asia Pacific regional security interests require the navies of this region to have the ability to respond comprehensively to political or military contingencies, which can arise with little or no warning. 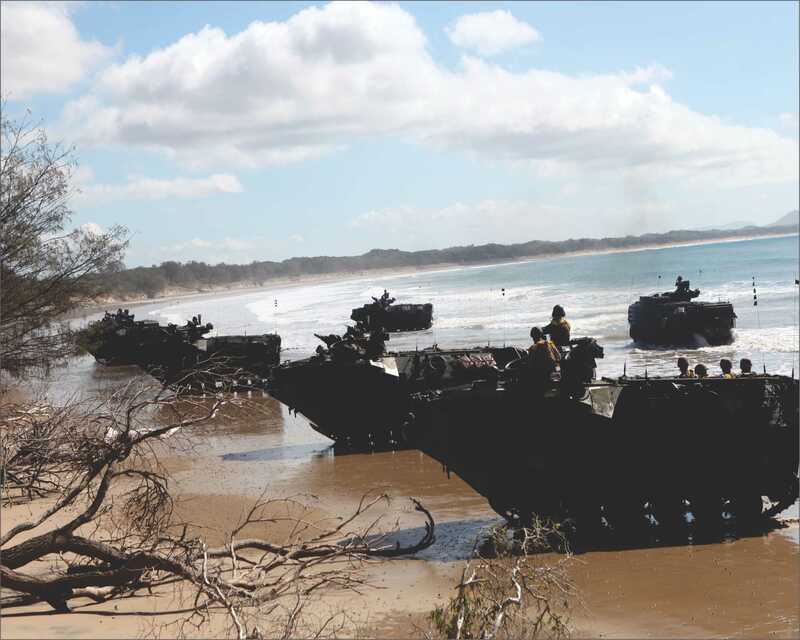 An amphibious capability provides the militaries with a range of political response options to apply military force, and project national power. Many countries in the region have recognized the need to augment their amphibious capability in the developing geopolitical environment in the Indian Ocean Region and South China Sea maritime challenges. Many ASEAN countries are now possess varying-sized, specialized amphibious ground forces equivalent to the US Marine Corps (USMC) or Russian Naval Infantry. 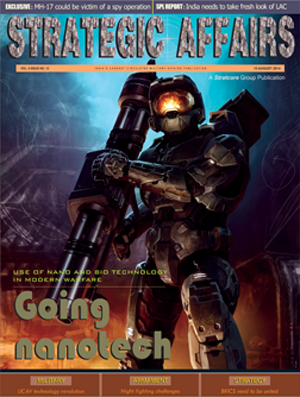 OCTOBER 2014: The future of the battlefield will be closely tied in with the advance of electronics computers, robots and sensors will become more common on the future battlefield. 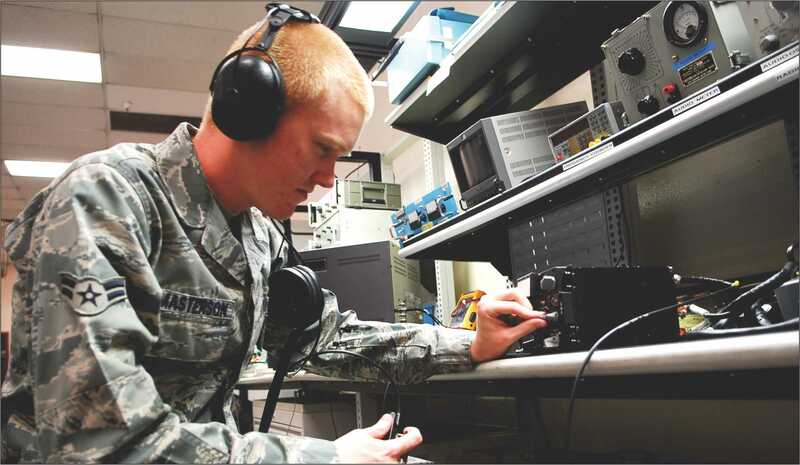 Infantrymen are being equipped with digital radios and computers. 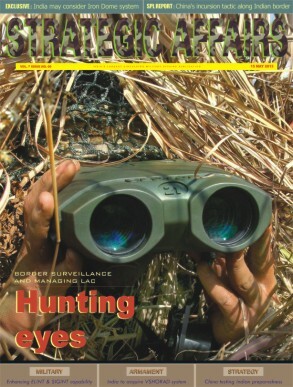 Night vision devices have been around for some time. 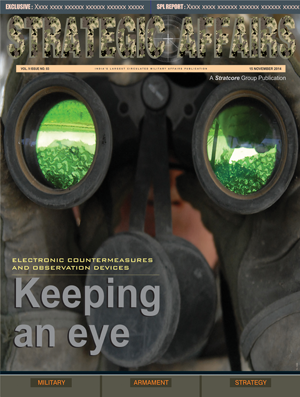 Tanks have highly sophisticated targeting computers, radar and imaging devices. All these devices are electronic in nature. As these devices become more and more common they will be integrated into helmets, weapons, and battle suits. 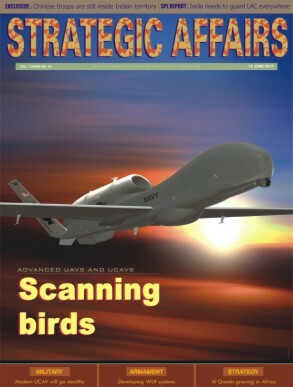 Vehicles will become highly automated and detection of the enemy will become easier. As weapons become more lethal it will become more important to have an advantage over the enemy. However, electronics are not invulnerable. In the past, the threat of mutually assured destruction provided a lasting deterrent against the exchange of multiple high-yield nuclear warheads. SEPTEMBER 2014: The August 2013 Sindhurakshak and the February 2014 Sindhuratna submarine tragedies are stark reminder of the absence of a deep submergence rescue vessel in Indian Navy. 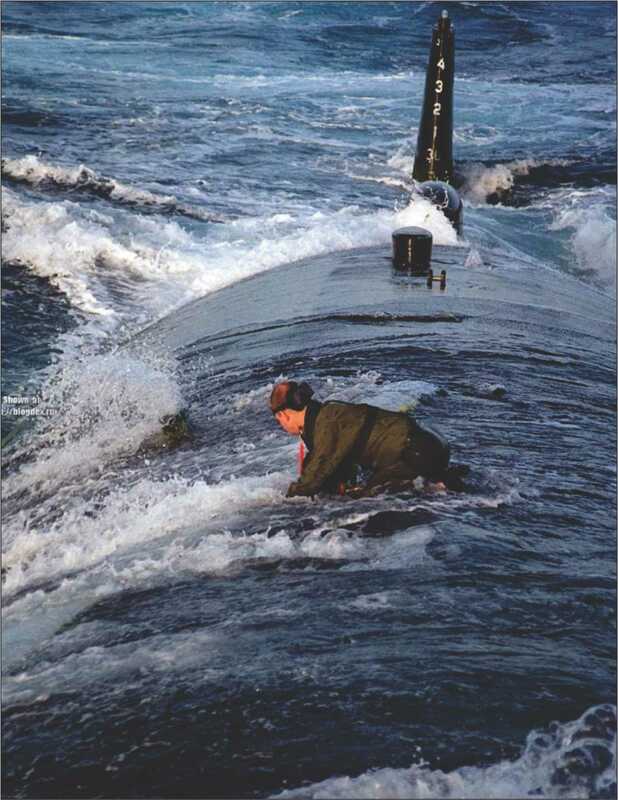 Since the first accident occurred on the harbor, the navy was saved from the responsibility to perform mid sea rescue. Though the Indian Navy possesses one vintage submarine rescue system which is capable of rescuing the crew at depths less than 150 metres, the requirement for the present era is to have a deep submergence rescue vessel. To meet an emergency situation an agreement has been reached with the US Navy to facilitate the rescue of sailors in distress through US navy rescue equipments. Called the Indo-American Rescue Flyaway kit, this will be flown to India for rescuing the submariners in distress. 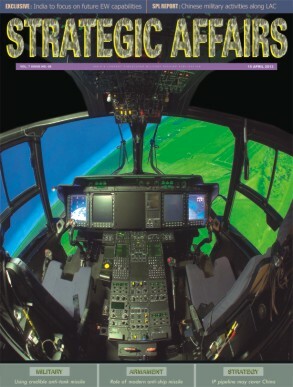 AUGUST 2014: Modern war is all about controlling the progress of combat scenario without getting directly engaged into the war theatre from a close proximity. 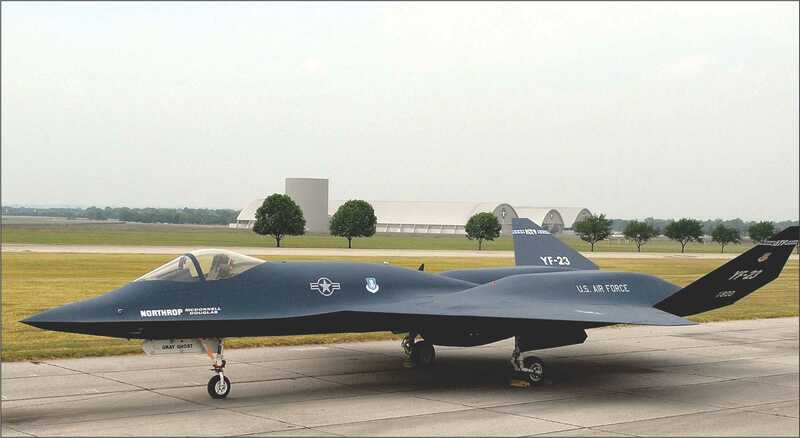 For that, air superiority remains an essential military mission and instead of fighters now UAV and UCAV are all set to perform the task. 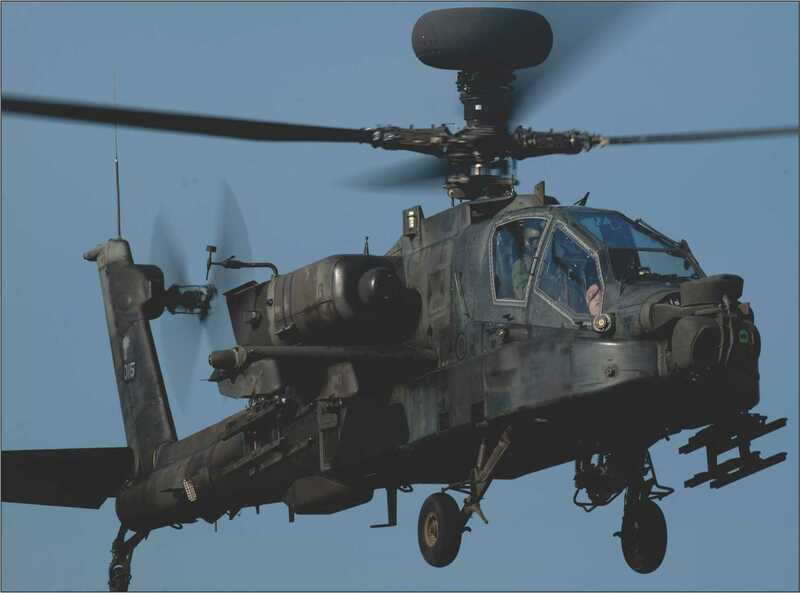 Although control of the air does not itself destroy or defeat the majority of enemy forces, it provides the freedom of action and strategic flexibility that allow other military forces to do so. Air superiority is central to a full range of military capabilities, including power projection of sea and land forces, close air support, interdiction, and freedom of maneuver for ground forces. 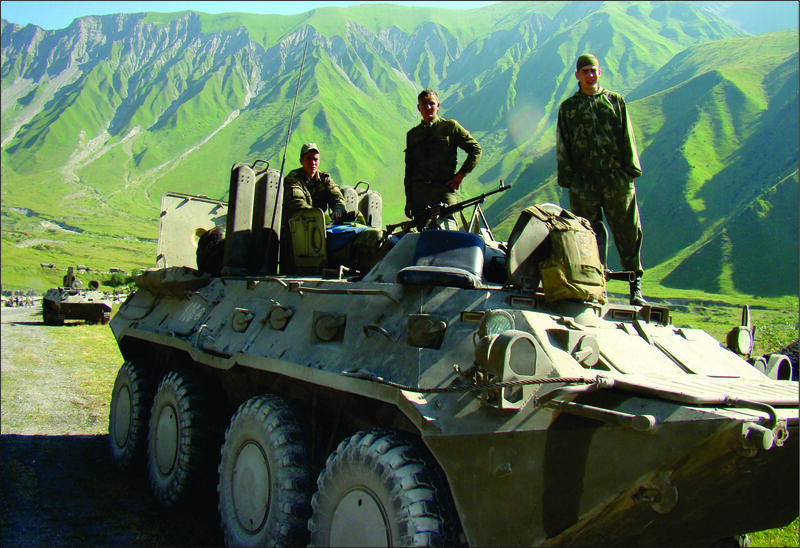 JULY 2014: The Indian Army is considered as among the best trained army in the world when it comes to mountain or high altitude warfare. 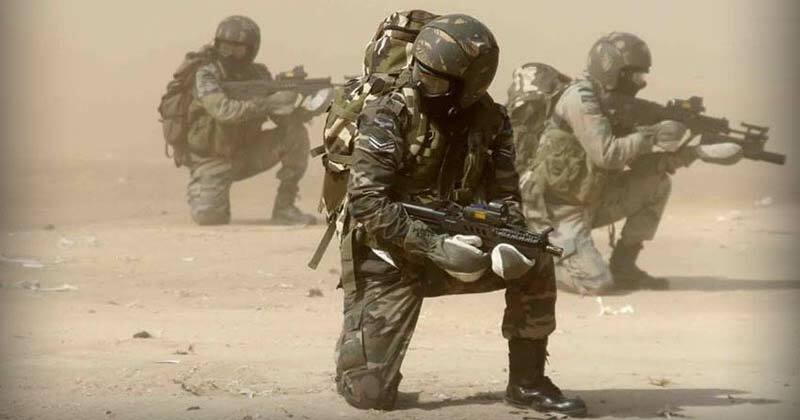 But it was the shortcomings and observations during the Kargil war which attracted Indian government’s attention towards training troops for a dedicated specialized mountain warfare, which is very essential in the 21st Century battlefield. JUNE 2014: India and Russia are all set to develop a new generation fighter plane which is known as PAK-FA, a fifth generation aircraft based on T-50 prototype model that can challenge even most advanced fighters in the world, perhaps, performing better in some segments than the F-22 Raptor. 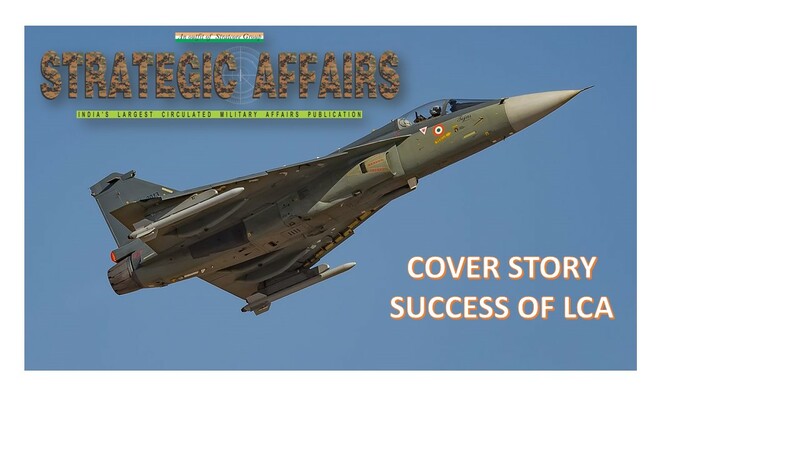 Russia and India are jointly developing two versions of the combat aircraft - a two-seater version to meet the requirements of India’s air superiority policy of Indian Air Force, and a single-seat version for the Russian Air Force. While India’s HAL is giving technological support to the project in many new areas, Sukhoi has constructed three prototypes at the Komsomolsk-on-Amur Aviation Production Association (KNAAPO) in Russia’s Far East. 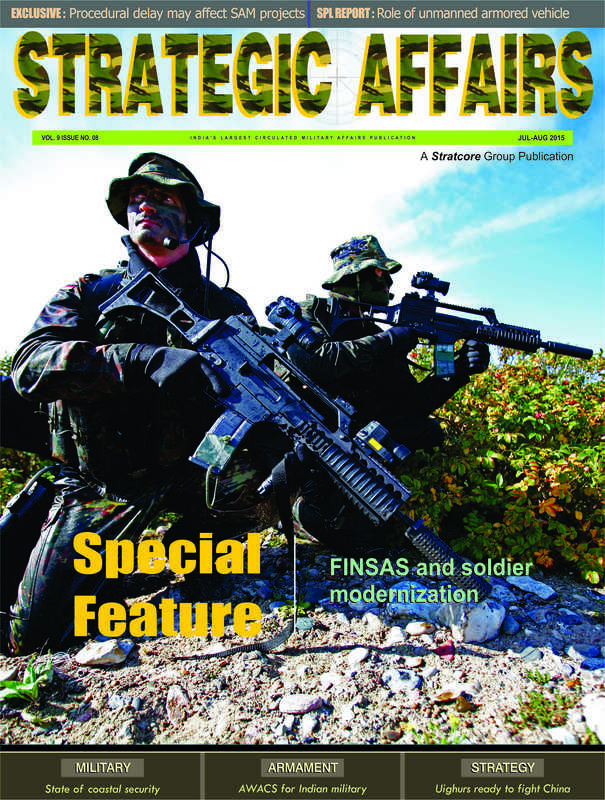 MAY 2014: In today’s swift and intense warfare of 21st century, the Special Forces have already earned a special position for themselves by the way of showing the world that they can handle very high risk missions without much problems and take them to a logical conclusion with greater precision and lightening speed. The US Navy SEALs have gone far too ahead of all other Special Forces after they seized Osama Bin Laden in his hide out with a precision which has never been seen in the history of military-intelligence parlance anywhere in the world. 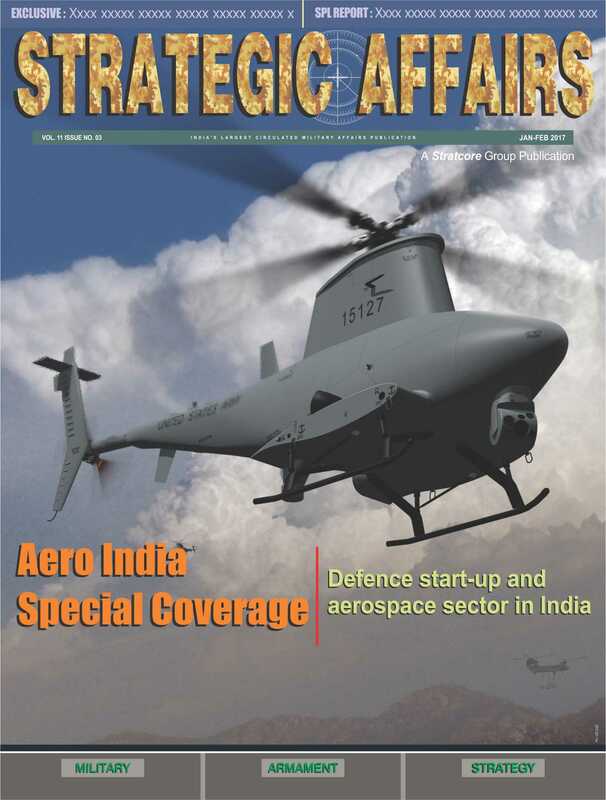 APRIL 2014: Cyber security systems, including network centric warfare systems and platforms, are proving to be the main weapon of new generation and hi-tech battlefield that is swift, lethal and decisive. 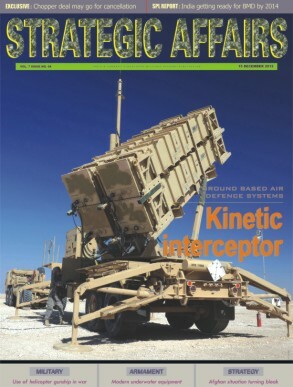 As the effort to dominate cyber space has increased tremendously in last five years, it is now a necessity that without access to timely situational awareness, the vital concept of 21st Century warfare may be lost much before it could even start. 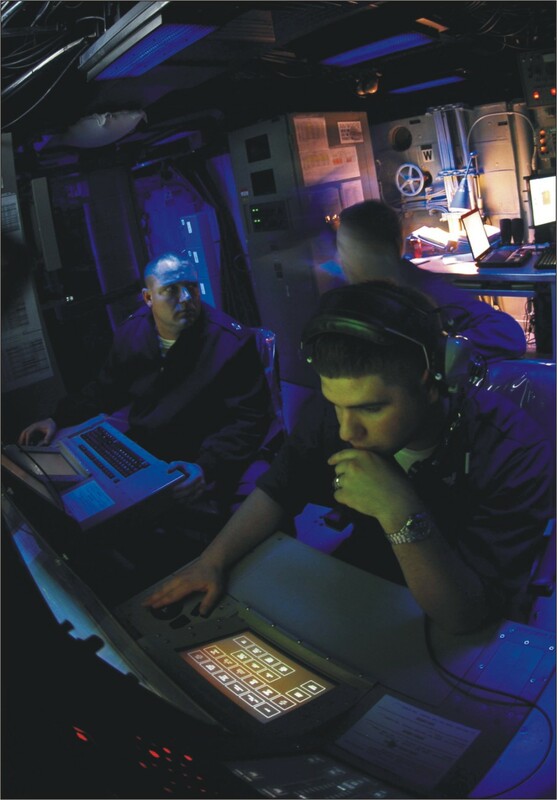 Militaries all over the world now rely on the fact that cyberspace is not just becoming a dominant platform for life but it is also becoming the century’s dominant platform for hi-tech warfare. As political and military decisions are made to protect and preserve the 21st Century way of life, one cannot help but wonder how well informed these decisions will be. 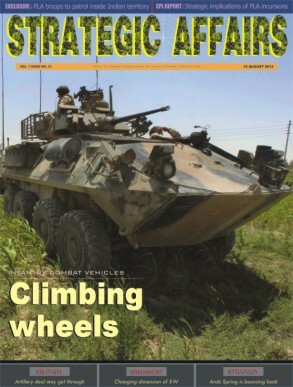 MARCH 2014: The military modernization of China has surprised every country in the world. The best thing about the whole modernization process of Chinese military is that they are preparing themselves to counter any kind of futuristic threats. China is having border dispute with many countries in the region but with India it is a serious bone of contention. 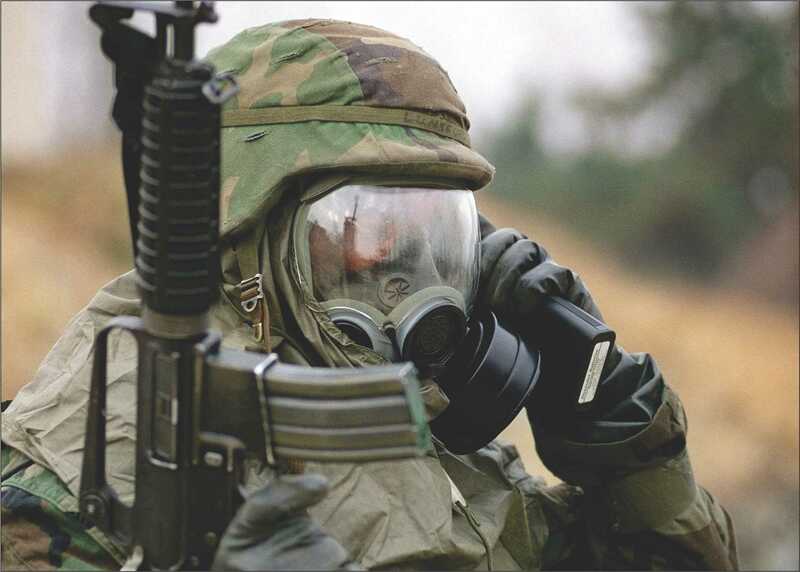 The changing requirement of modern battlefield has increased the risks coming from unexpected and deadly threats. 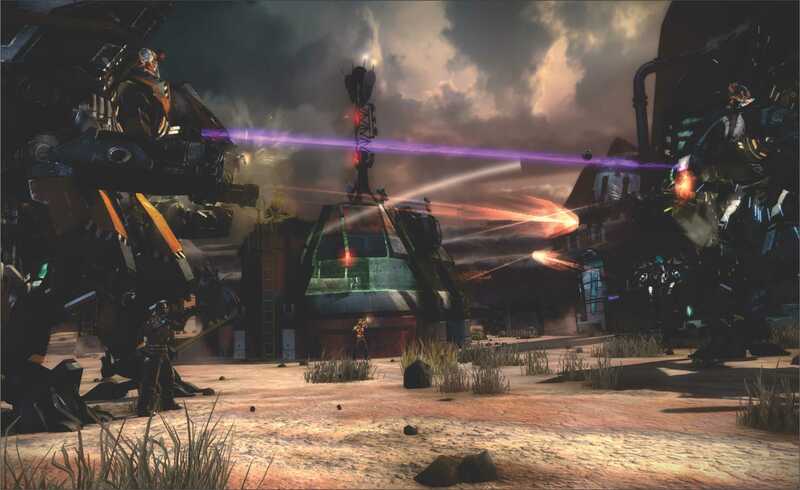 The new war scenario can be lethal and precise aimed at maximum damage. And the fear of getting such means of weapons in the hands of adversaries or non state actors poses a bigger challenge. China is also now preparing its military to meet all eventualities in this direction for which it has decided to equip its forces with latest generation of counter NBC warfare equipments. 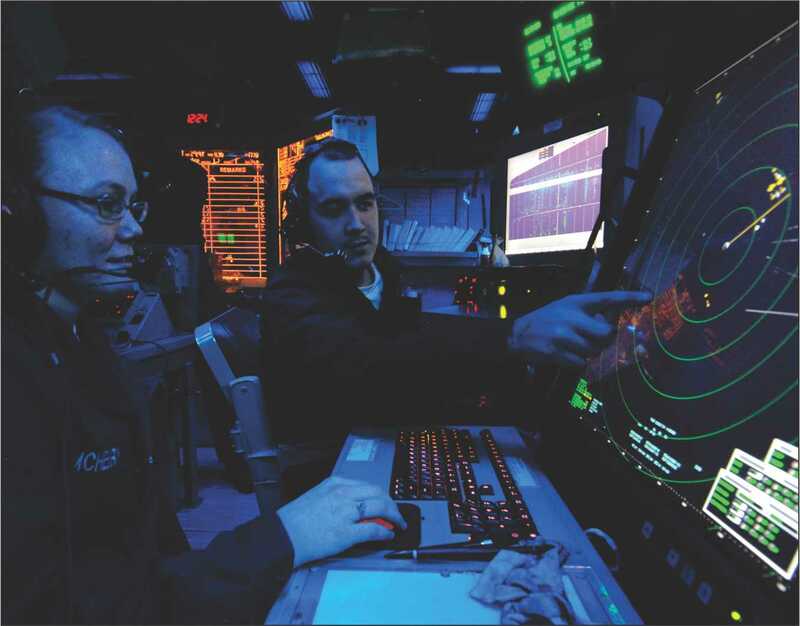 FEBRUARY 2014: The maritime surveillance is undergoing a sea change due to advent of long range surveillance and reconnaissance technologies which most modern navies are now attempting to integrate into their command and control structure to meet new challenges. 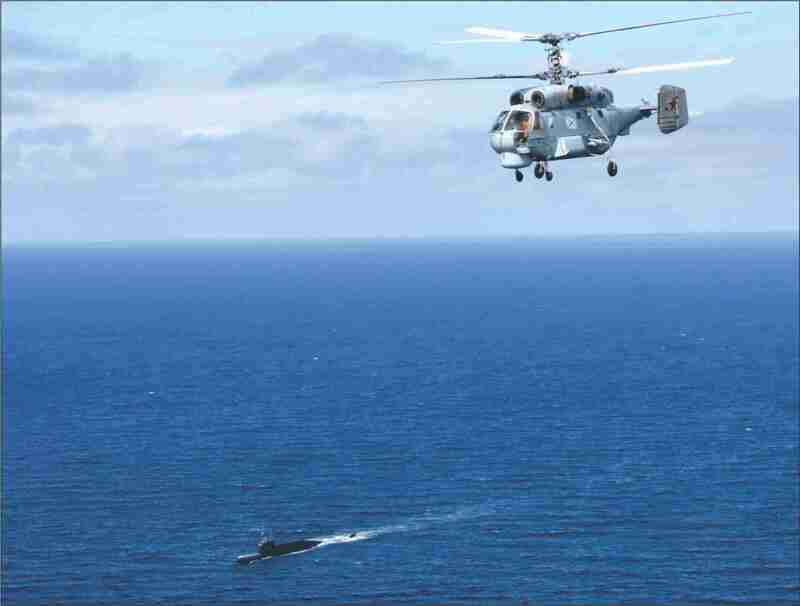 The sea borne threats are multiplying in view of deteriorating security situation and strategic rivalry among newly emerging powers in Asia and Africa who often tend to take a narrow view of the whole spectrum of maritime challenges. 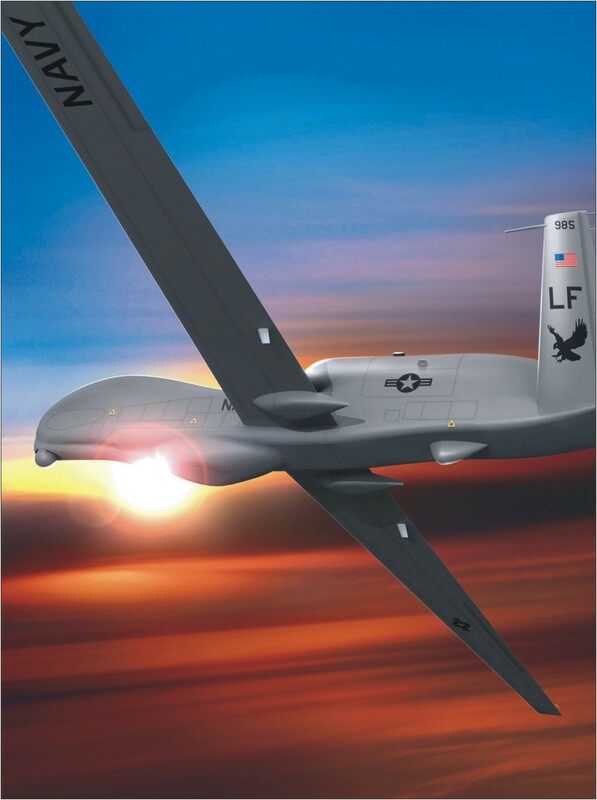 Maritime Intelligence Surveillance and Reconnaissance (ISR) capability is the precursor technology to ward off threats in the middle of the sea from far away coasts and any attempt by hostile forces can be neutralized within minimum possible time frame. 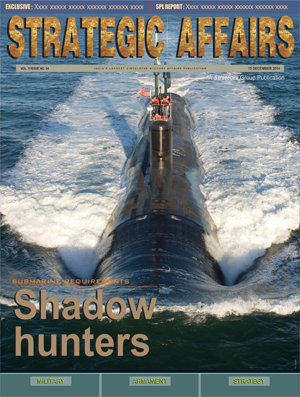 JANUARY 2014: Since the sea warfare is changing at a rapid pace with the introduction of best of technology into the sea borne underwater operations, most navies are finding it difficult to detect undersea activities of stealth submarines which can defy sometimes most modern technical capability of a well equipped force. More than 35 countries are currently operating a series of modern submarines, both conventional and nuclear capable, which can operate so silently that one cannot even think about their presence in such deep waters close to coastal waters. Submarines are equipped to defy heavy under sea current and magnetic response of seabed at times of critical moment but this appears to be a cat and mouse game where movement signature’s of a ship can be a dangerous signal for the enemy to strike. 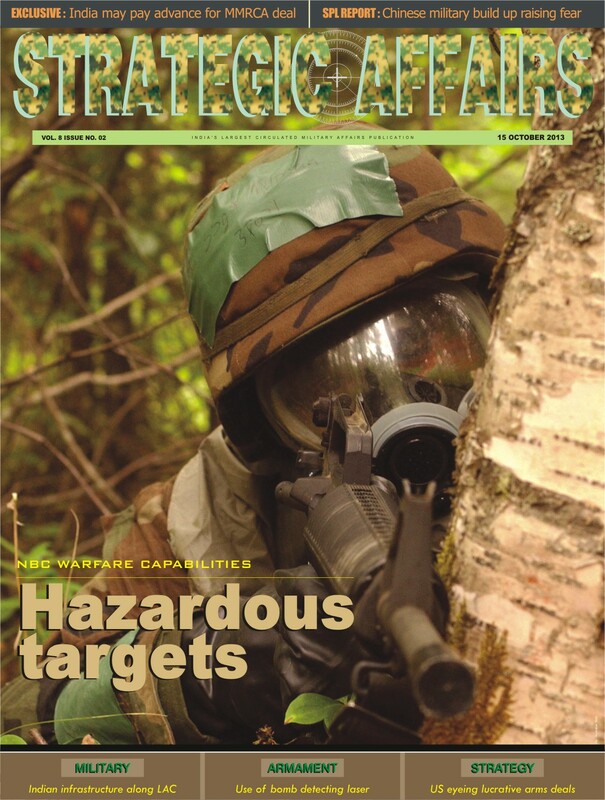 DECEMBER 2013: With the increase in advanced research and rapid use of nanotechnology for military purposes, the fundamental meaning of warfare is changing due to high level of success in developing lethal weapons and platforms which can withstand massive ordnance burst and cause high intensity damage. Nanotechnology is giving the military application a new meaning which will give the user a range of options to destroy targets from thousands of miles away and use secret weapons which can be invisible to naked human eyes or even high speed sensors. 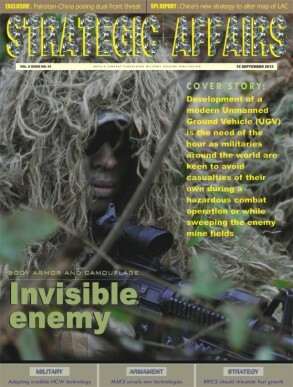 The world is becoming robotic and there is a keen interest that the weapons should be invisible. That can only happen if there is widespread research in nanotechnology for military purposes. 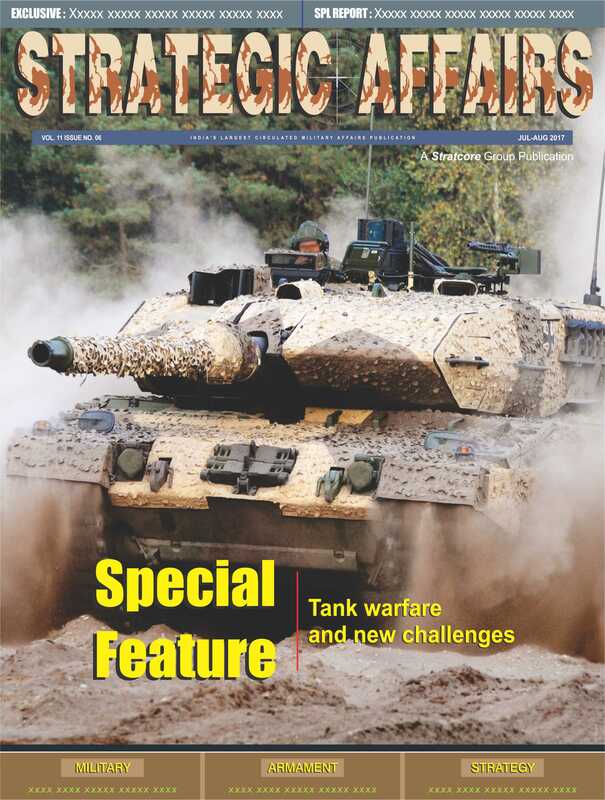 NOVEMBER 2013: Infantry Combat Vehicles are fast dominating the battlefield as ground troops will have to take physical control of the enemy territory to announce complete victory in a modern war which tends to be more complex today than it was in the last century. 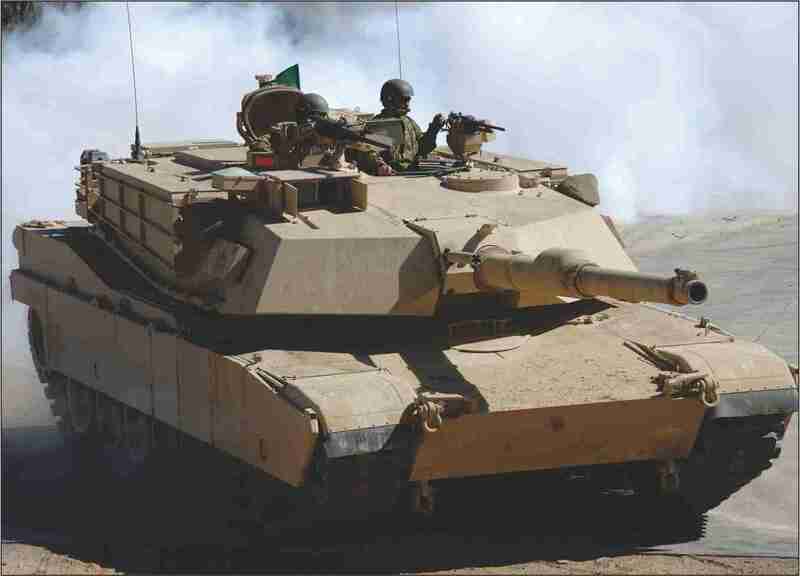 Without a credible ICV loaded with explosive reactive armor, it will be extremely dangerous to fall into the trap of enemy high intensity anti-tank weapons which can pierce the armor and hazardous mine fields and IEDs which kill more troops than in any direct assault or aerial bombardment. To overcome such a new trend, India is preparing itself against all odds. India now plans to overhaul and upgrade its entire fleet of over 2,000 infantry combat vehicles with advanced weaponry and night-fighting capabilities as Indian Army badly needs to augment its capacity building. 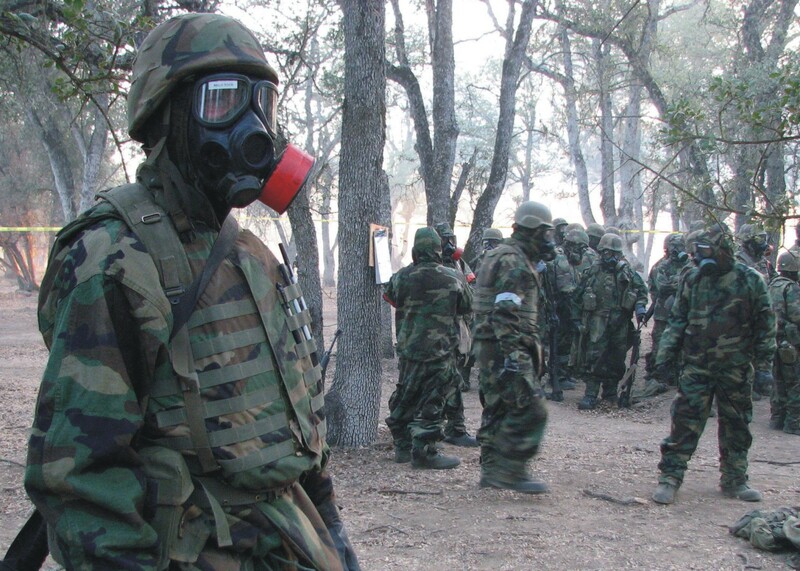 OCTOBER 2013: Nuclear, chemical and biological (NBC) weapons and related technologies have created enormous problems that it has now assumed a dangerous proposition and failing to take timely steps at a global level may result in catastrophic like situation of unprecedented scale. 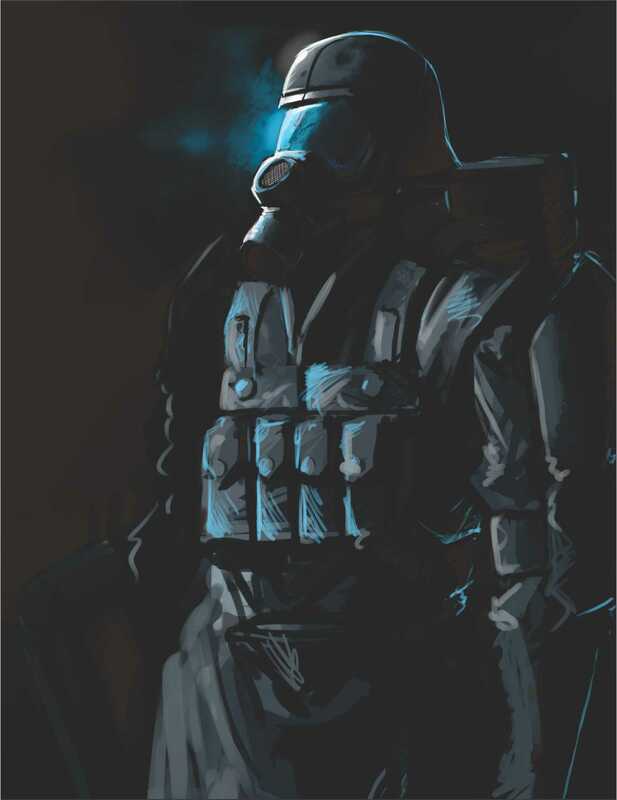 The current situation of NBC proliferation activities presents a gloomy forecast that NBC weapons could fall into the wrong hands due to large scale proliferation and secret programs run by rouge states and undesired elements. Indeed, such weapons present a great danger as they are capable of causing damage on an immense scale and possibly killing hundreds of millions of people while destroying the basis of civilized life over wide areas. 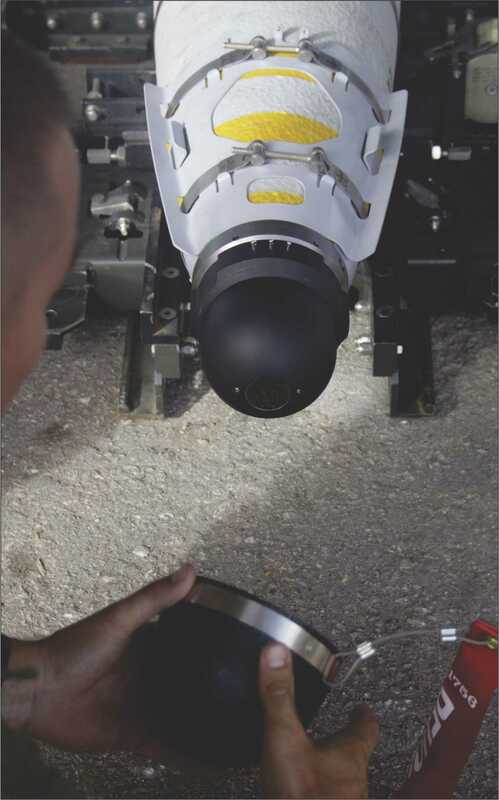 SEPTEMBER 2013: Going by 21st century military technology trend, a smart Unmanned Ground Vehicle (UGV) is designed and developed for some application specific missions to operate predominantly in hazardous environments. A UGV architecture that would provide an effective and economic path to modernization for technology insertion over time should be key factor of military modernization program. 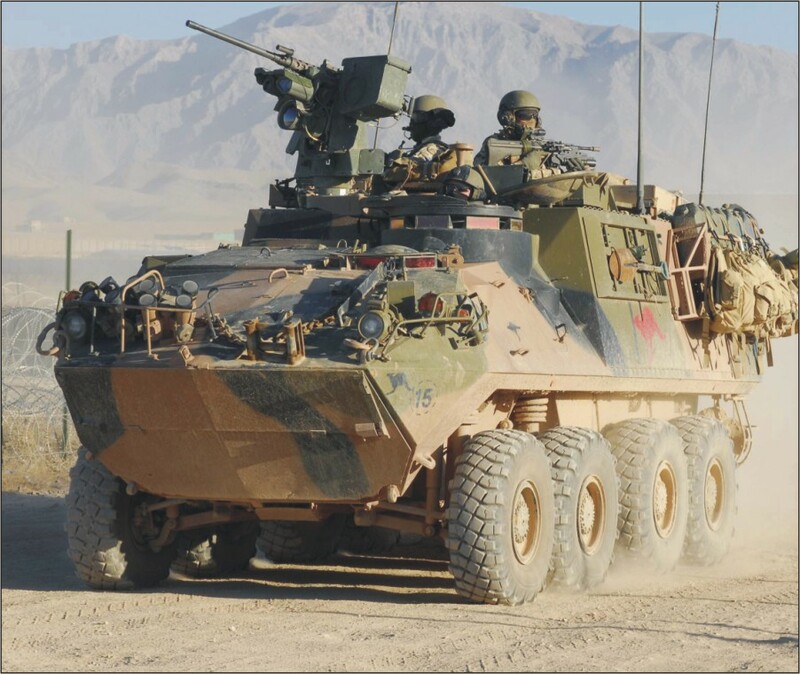 The urgent need to transform the Indian Army, from one characterized by heavy armor and firepower into a lighter, more responsive force that is at once both lethal and survivable, has made development of practical UGV systems a necessity for the future. 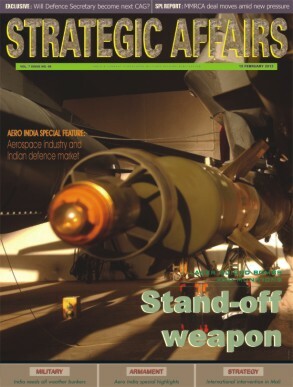 AUGUST 2013: Air-to-air missiles are part of modern battlefield which could help the pilots to lock on early and decimate enemy aerial control of the skies. 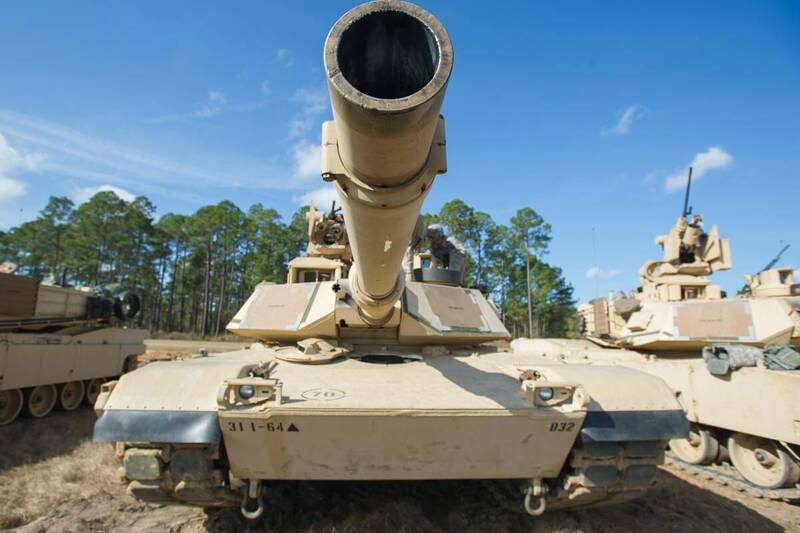 It gives the opportunity to go for full dominance of skies in view of lethality, accuracy and speed as one fire can ground an expensive enemy asset much before the war begins. 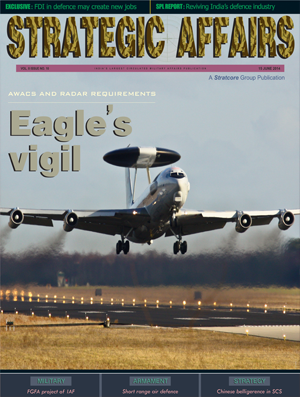 Thus, air warfare is seeing lot of change where engagements with the enemy take place from a beyond visual range. As the fighter planes are trying to be hidden from the enemy screens, the modern air-to-air missile denies this opportunity from a beyond visual range as it is able to hit all enemy moving assets with pin point accuracy despite being invisible. 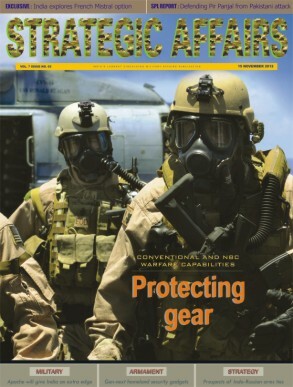 JULY 2013: As the battlefield is getting saturated with new weapons and platforms, timely accessing fast data holds key to success of any military operation that largely depends on digital intervention to score early on the rivals in a war zone that is unforgiving. Modern war zone is fast becoming a hub of digital war fighting ground through various Network Centric Operation platforms than mobilization of thousands of ground troops to invade into enemy territory.